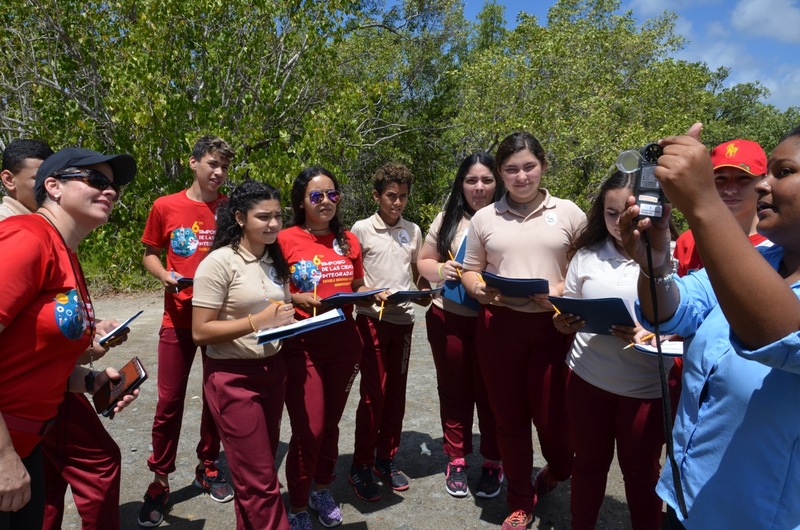 Students from the Segundo Ruiz Belvis School, along with their teacher, Prof. Ángela del Toro, visited Playita Rosada in Lajas, Puerto Rico, on Friday, May 5th, 2017. 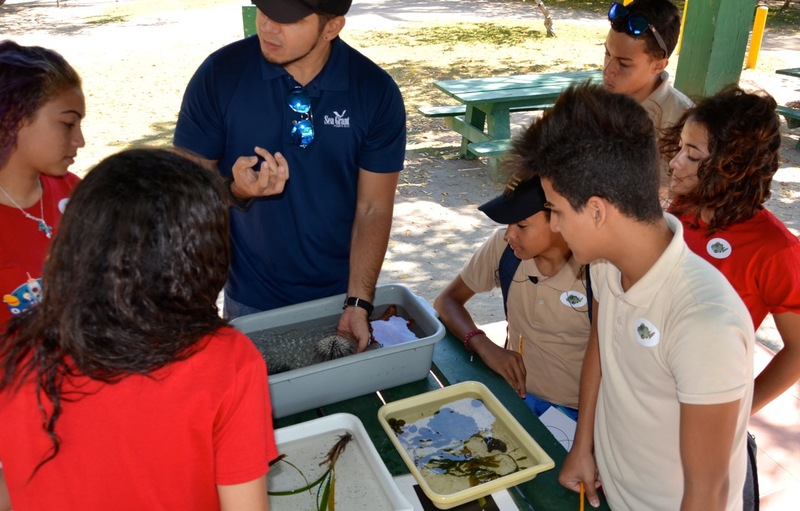 They then had the chance to get up close to our marine and coastal ecosystems. 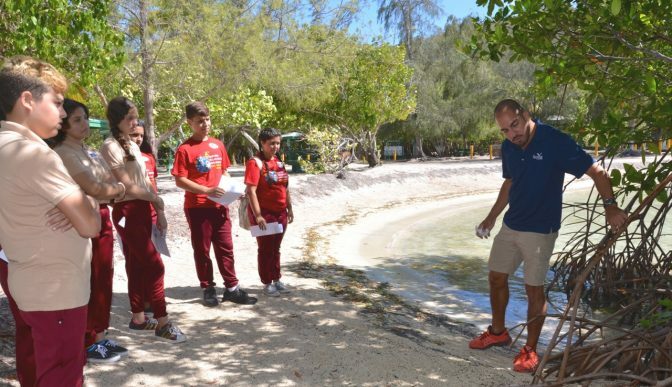 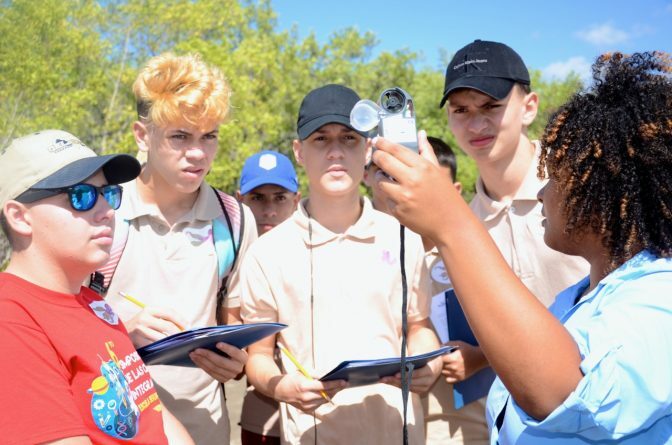 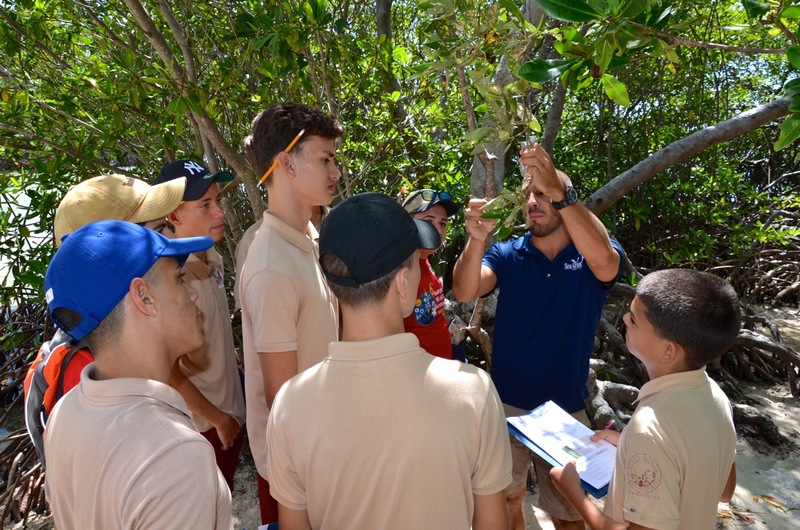 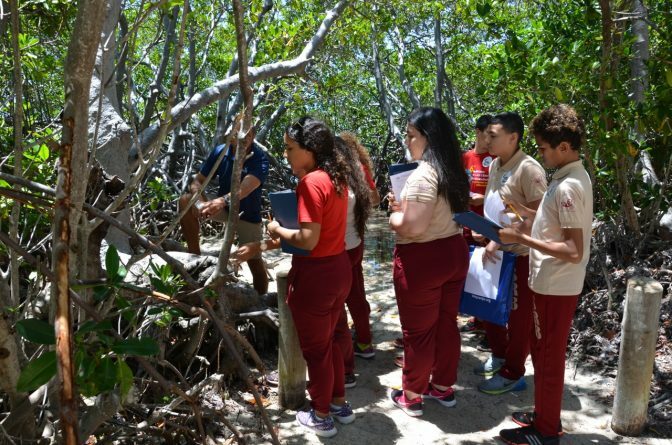 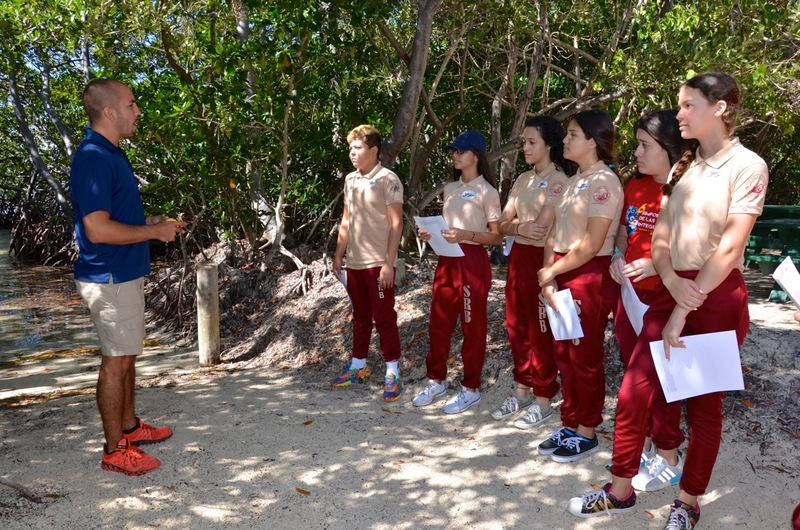 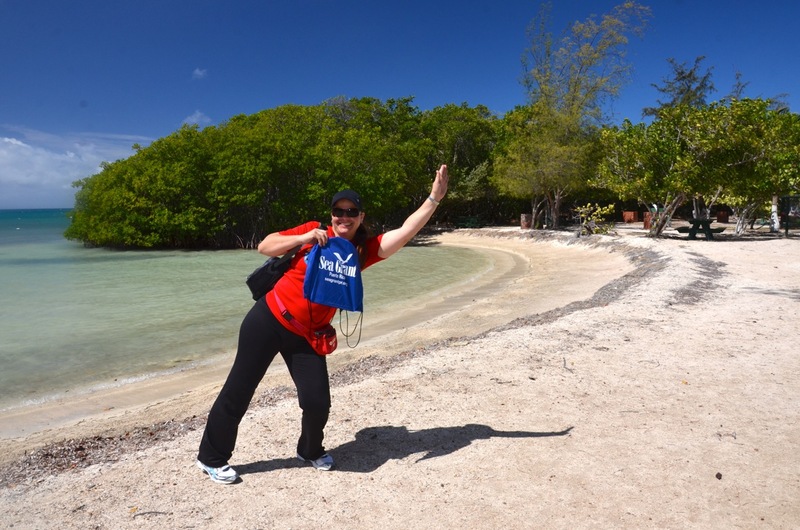 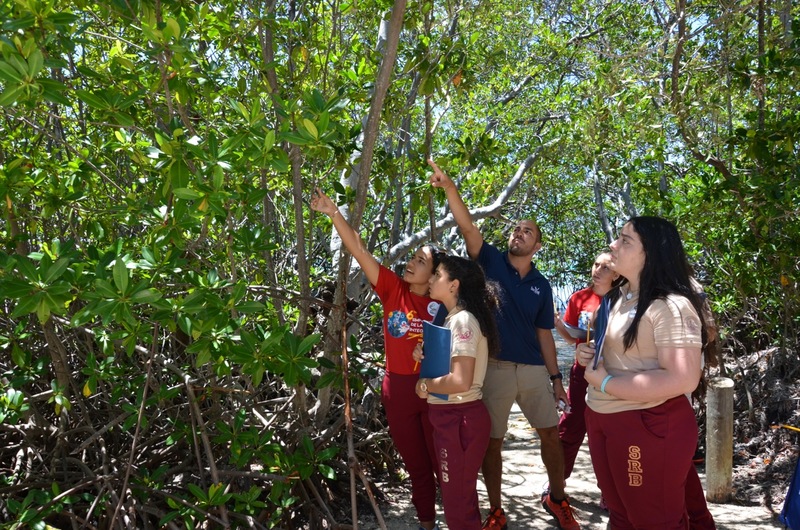 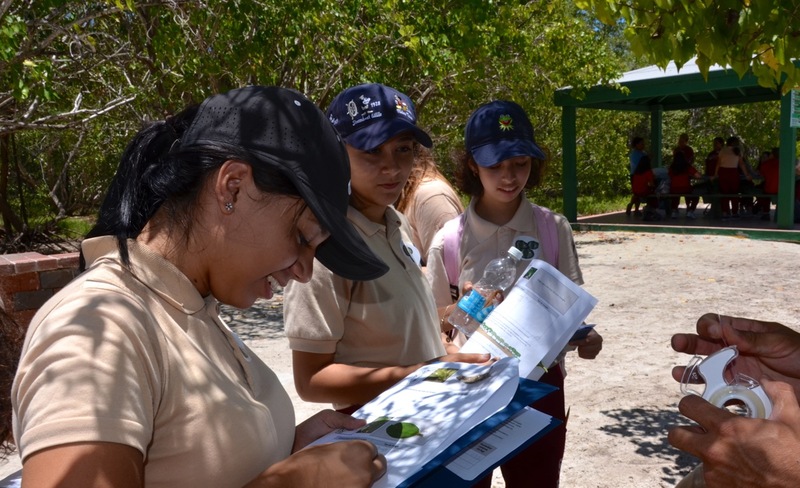 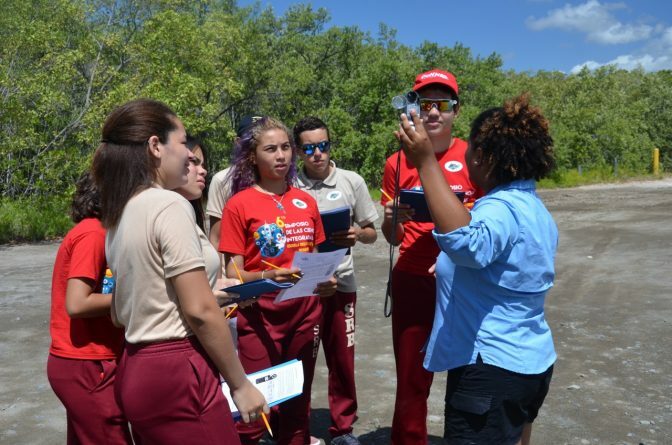 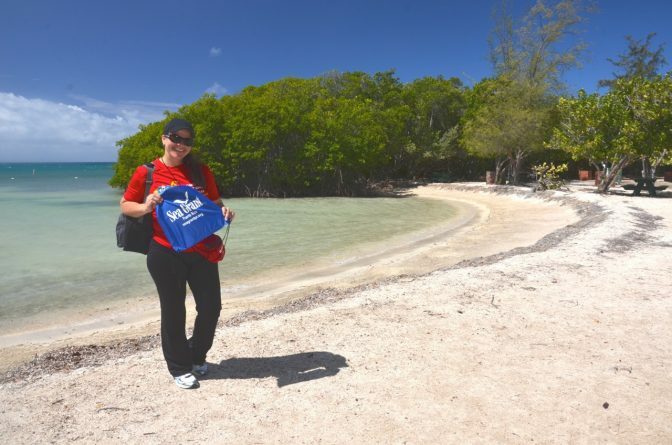 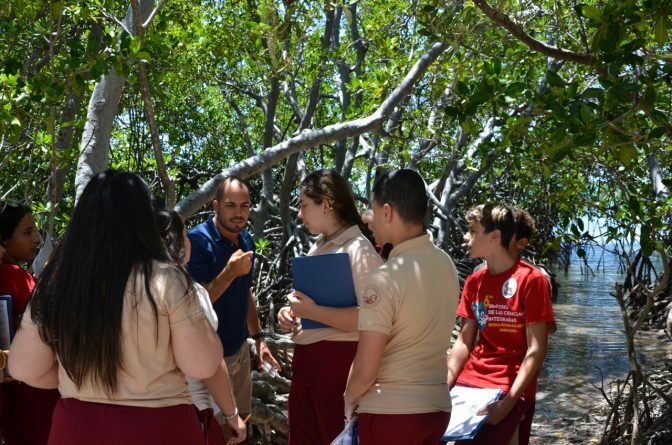 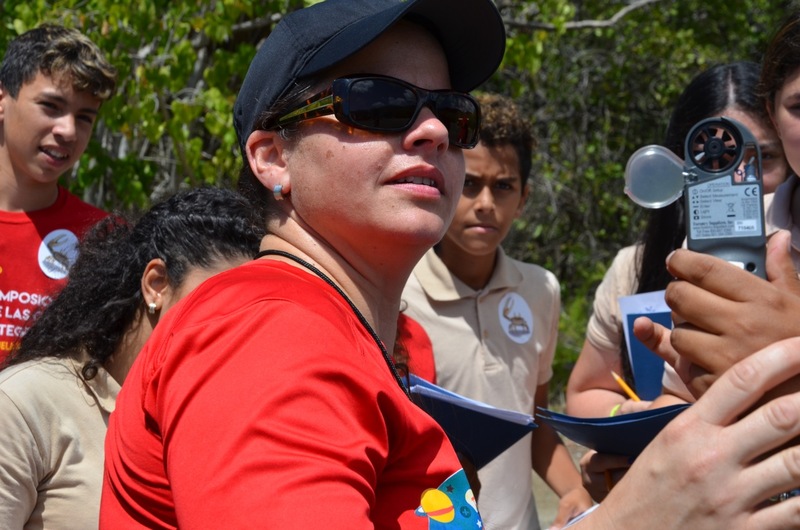 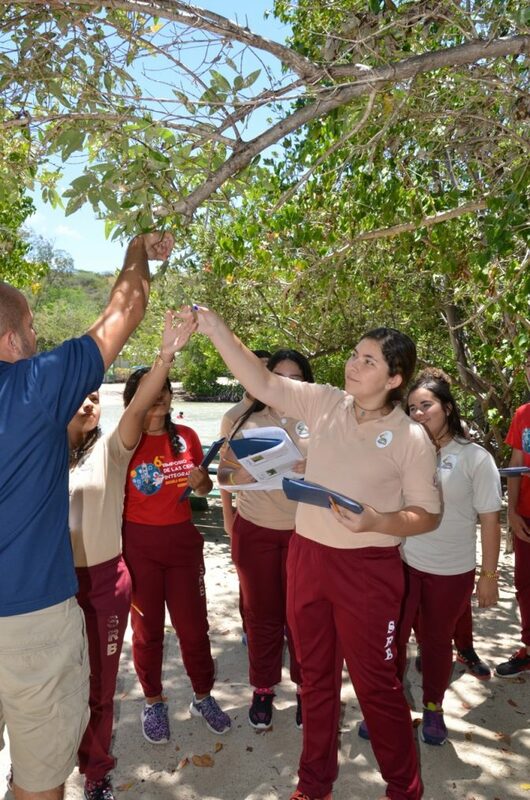 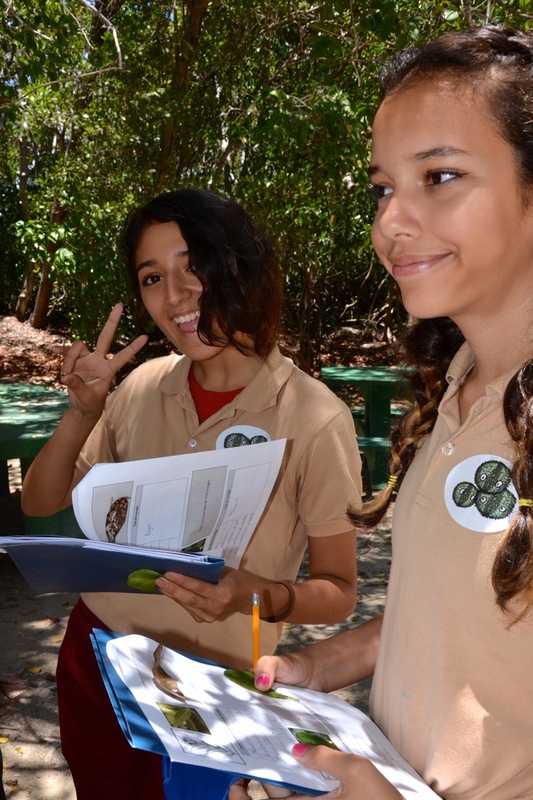 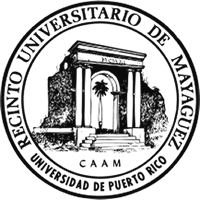 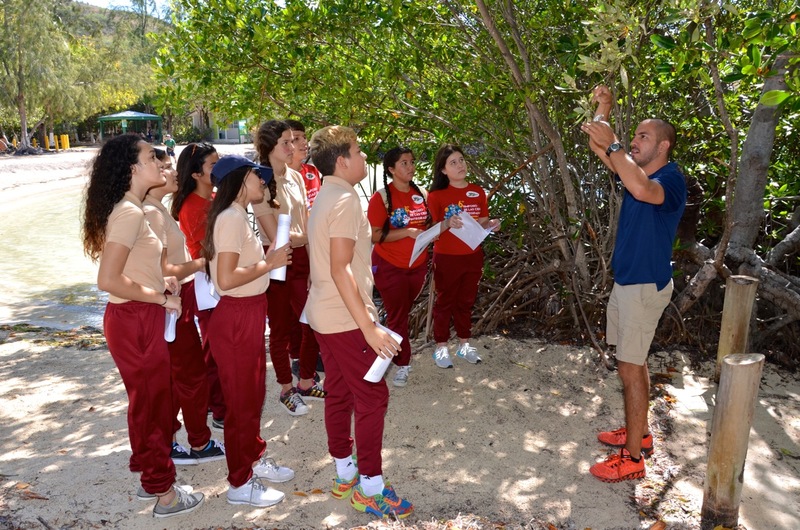 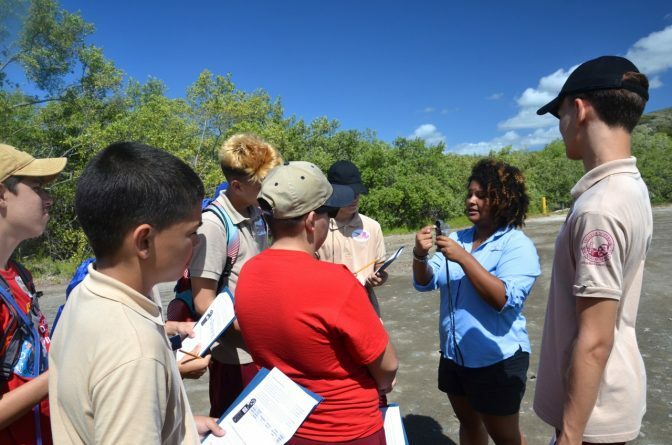 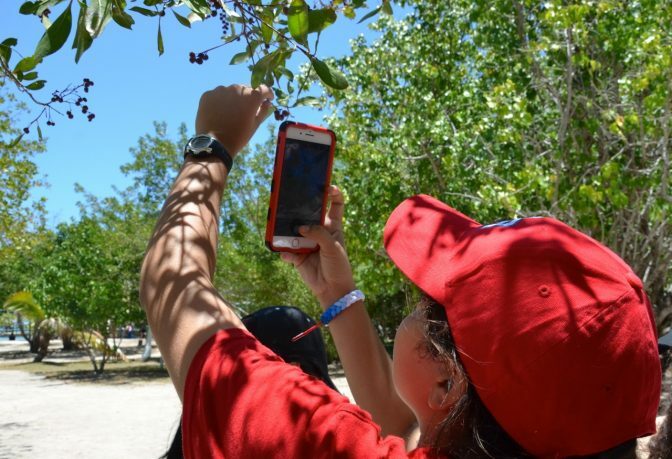 Before we started, students took a brief walk through the area while they took photos of the mangrove trees, the beach, the sea, and many other elements they found interesting. They were anxious to get started and begin learning things they didn’t know yet about the objects surrounding them. 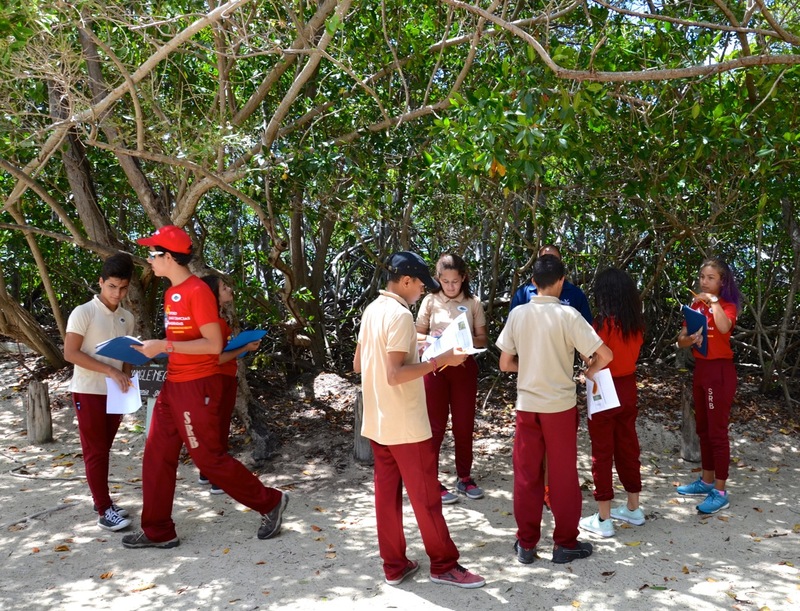 When the activity got started, we divided the students into groups. 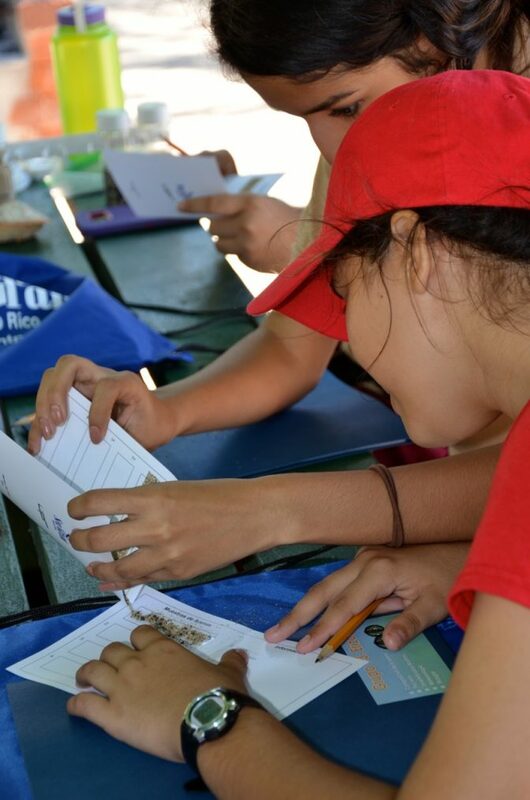 They were welcomed, issued instructions, and set on a rotation across several stations we prepared for them. 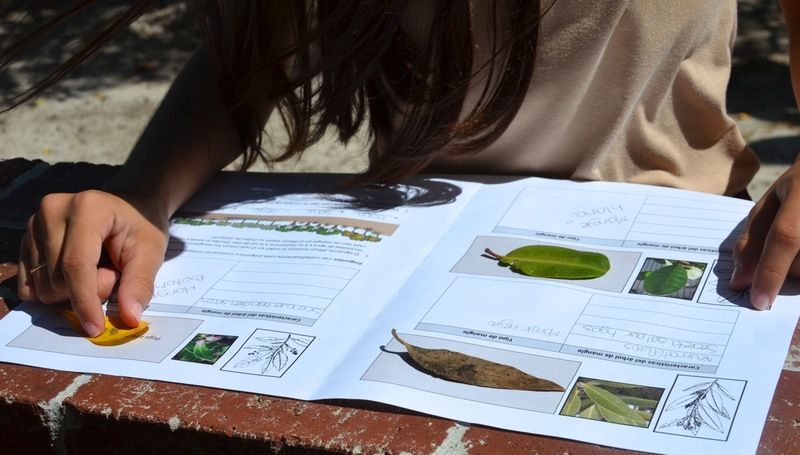 At each station, they could study several different topics about marine and coastal resources. 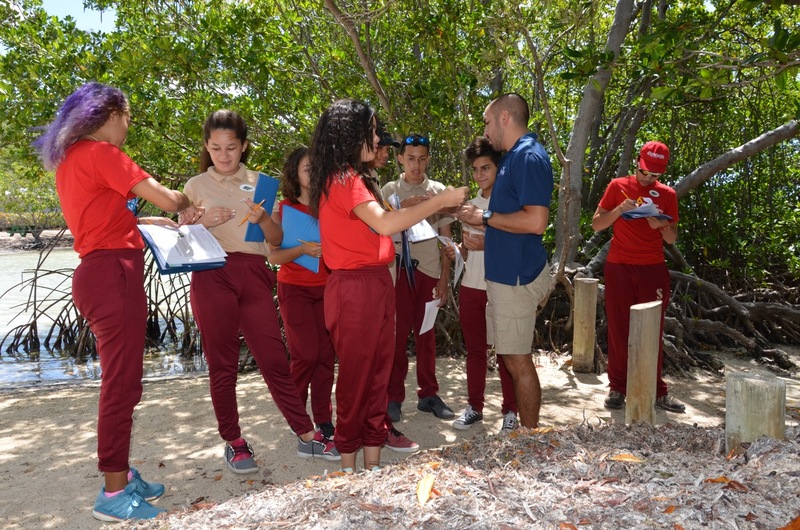 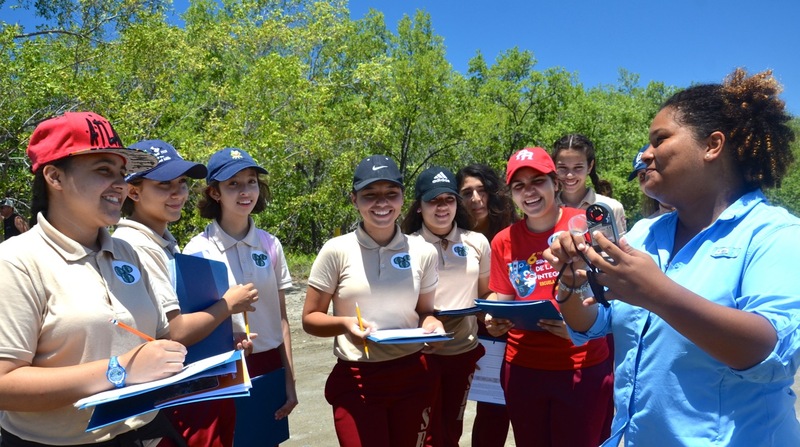 They visited stations showing the mangrove forest and seagrass bed ecosystems. 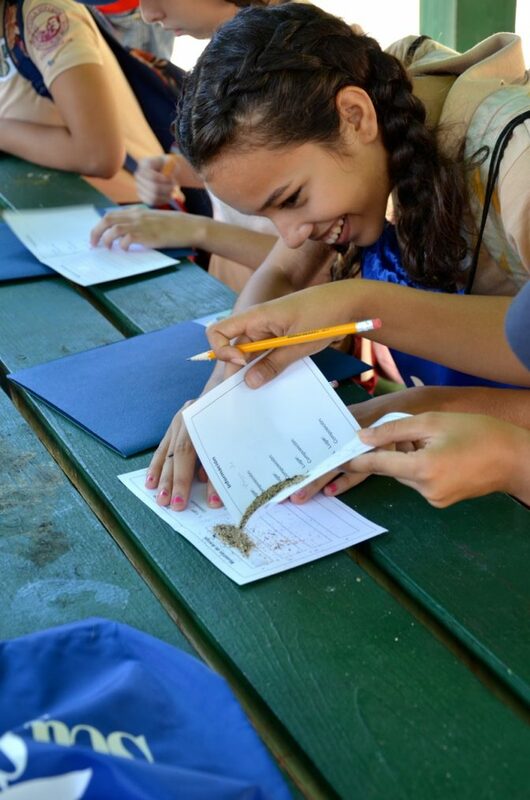 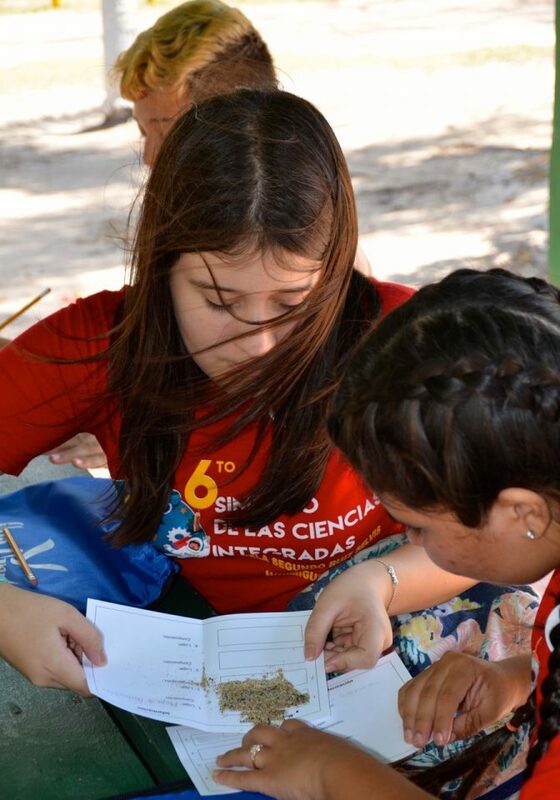 Other stations were devoted to sand composition and understanding basic concepts about meteorology. 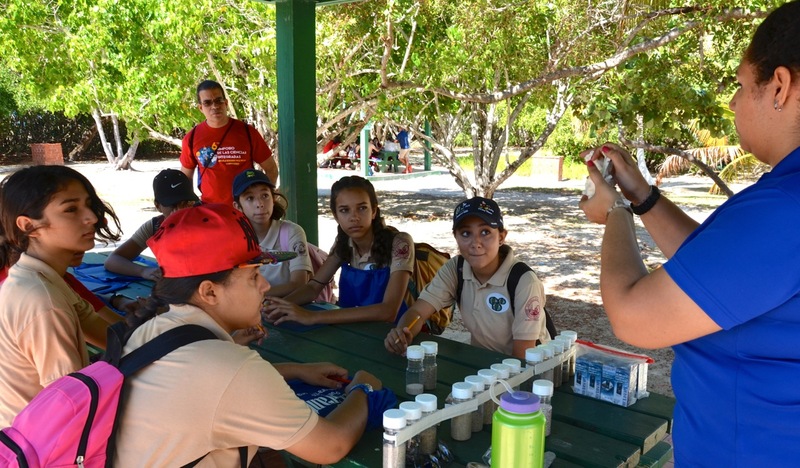 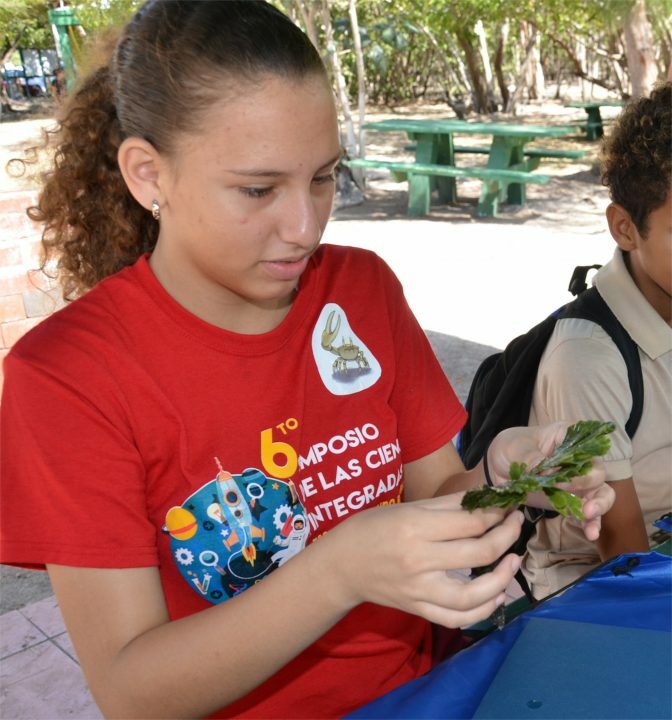 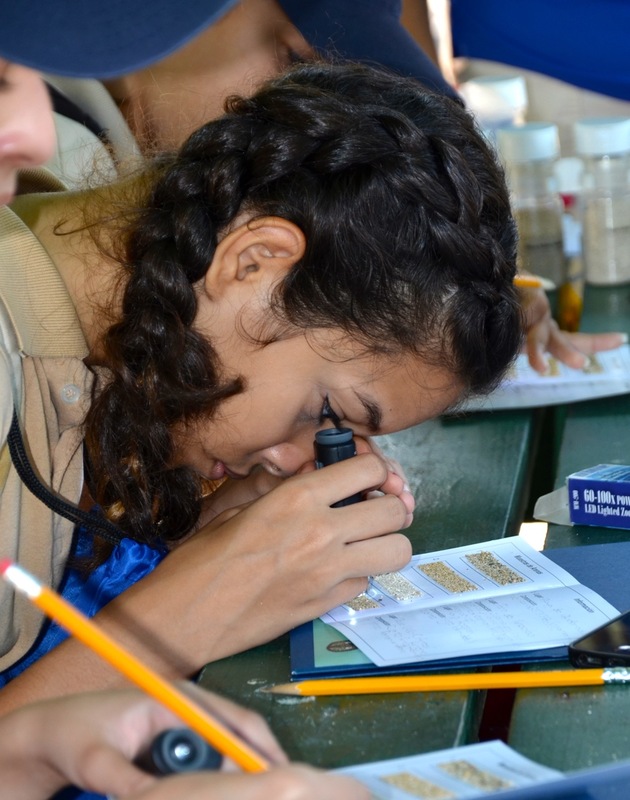 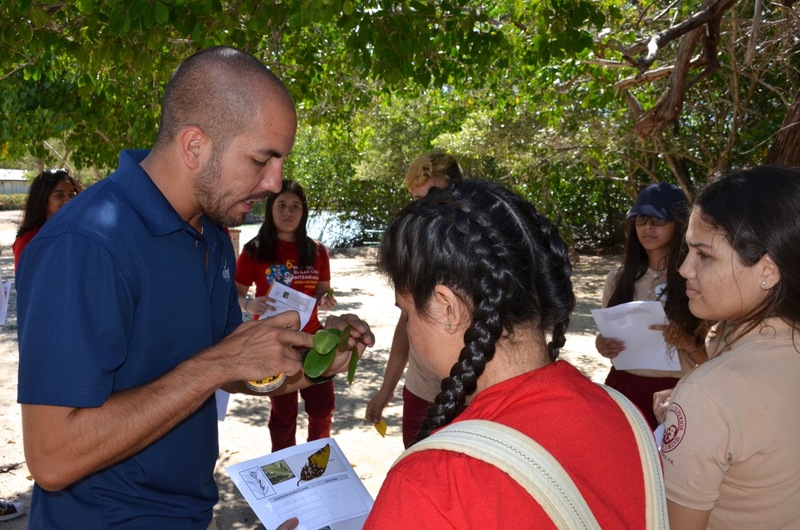 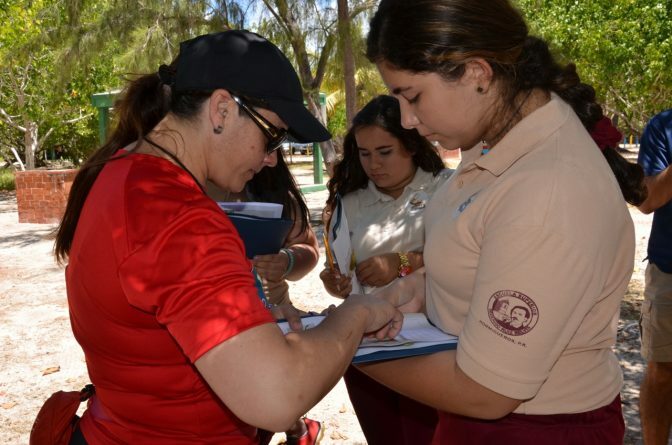 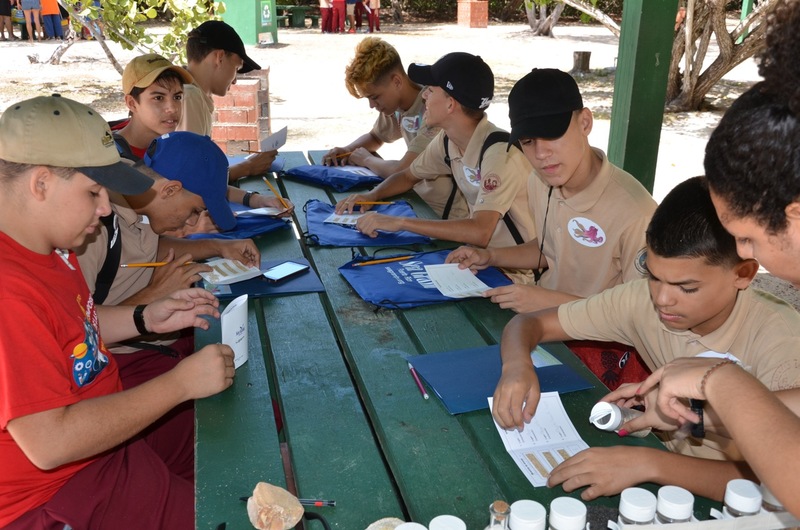 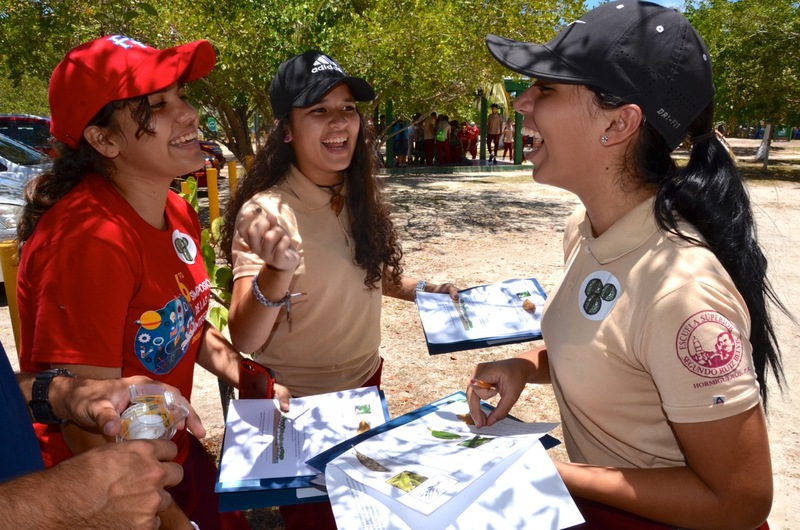 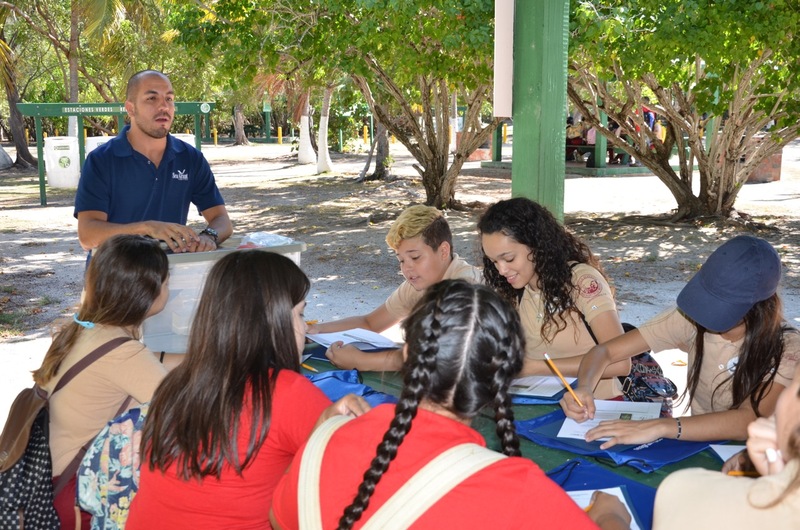 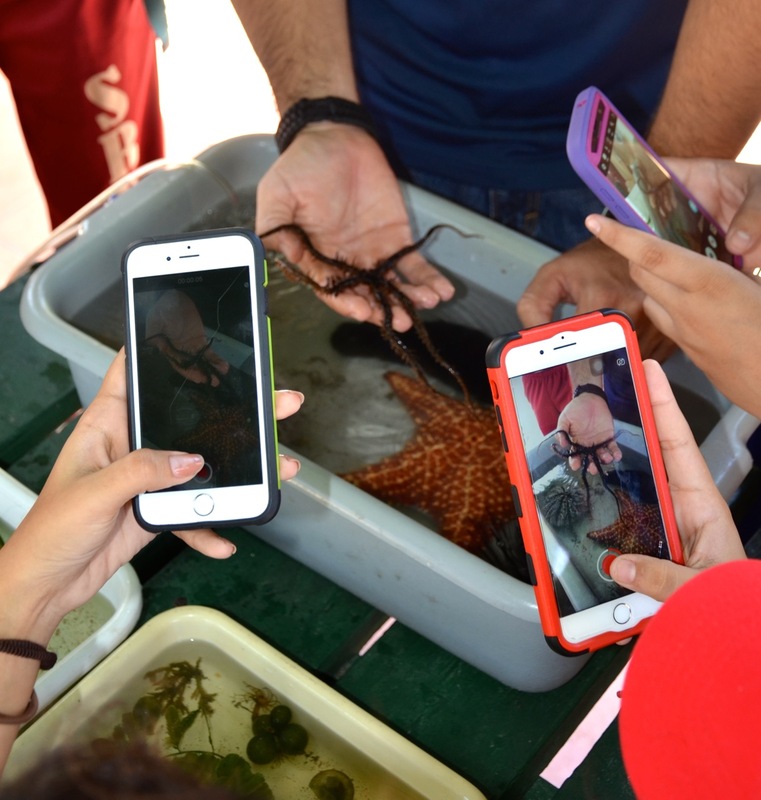 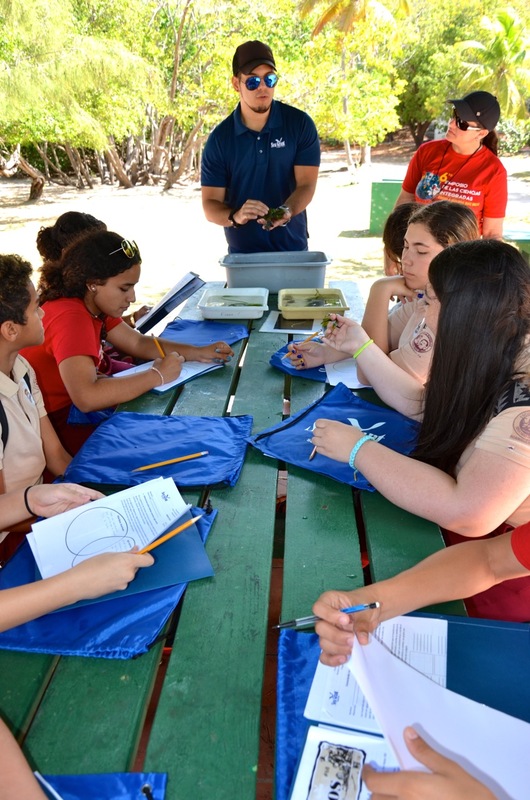 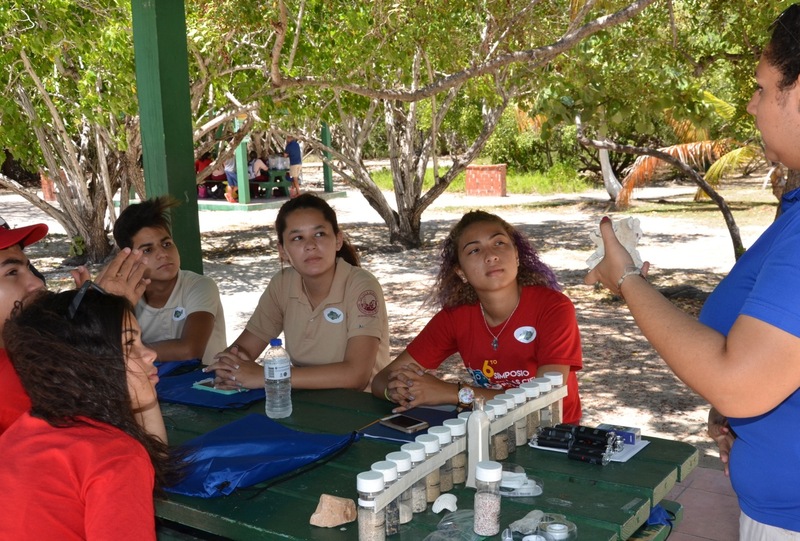 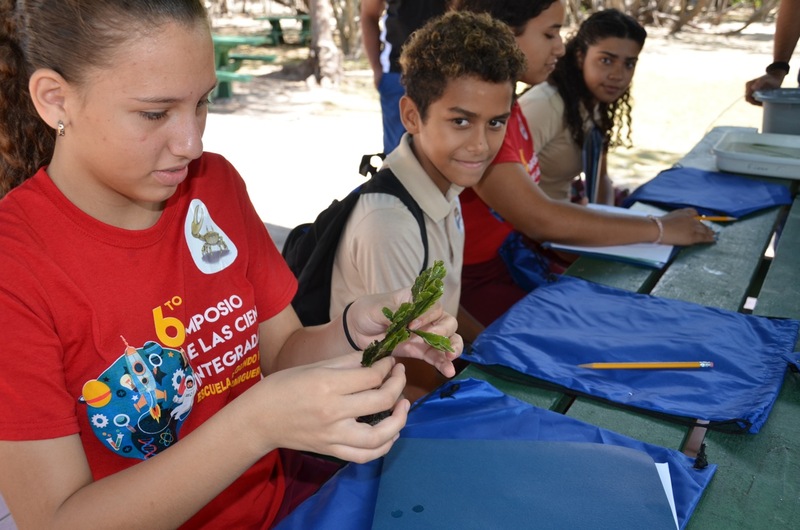 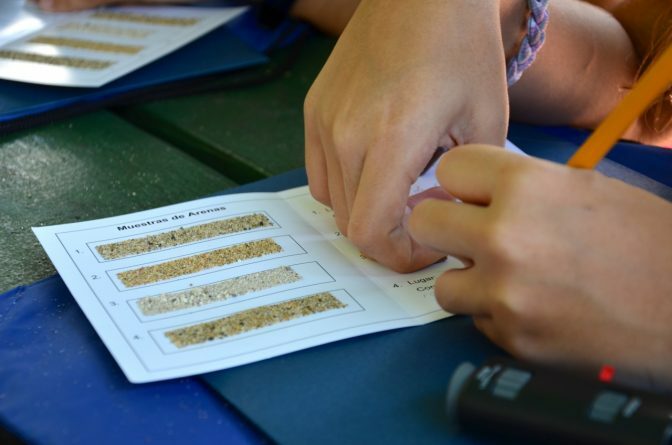 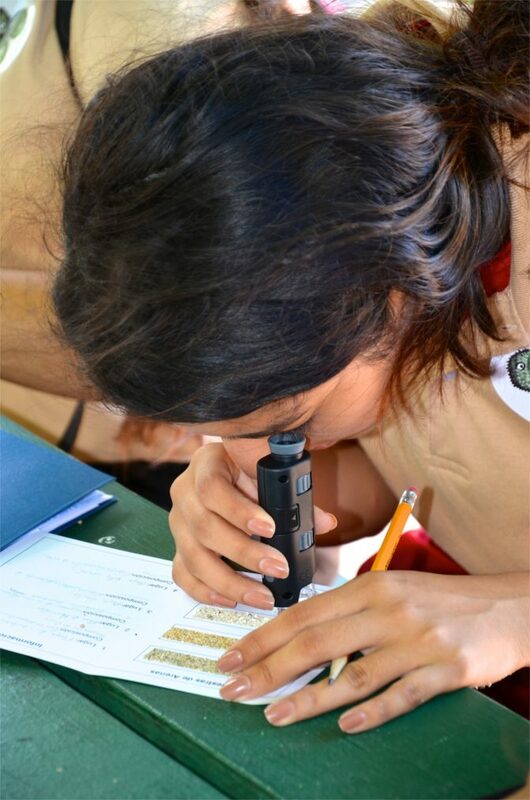 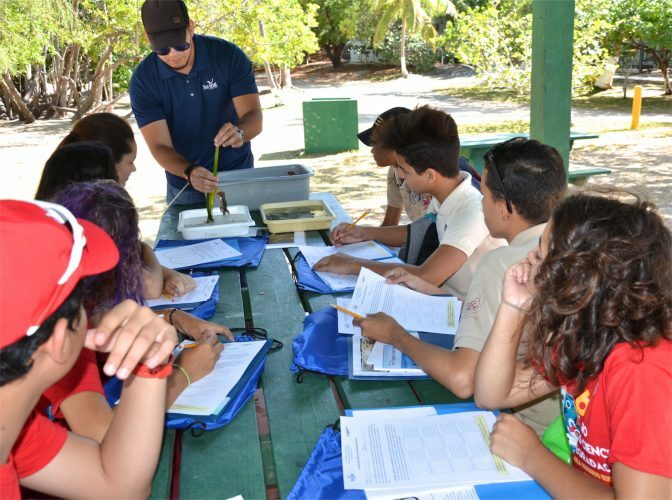 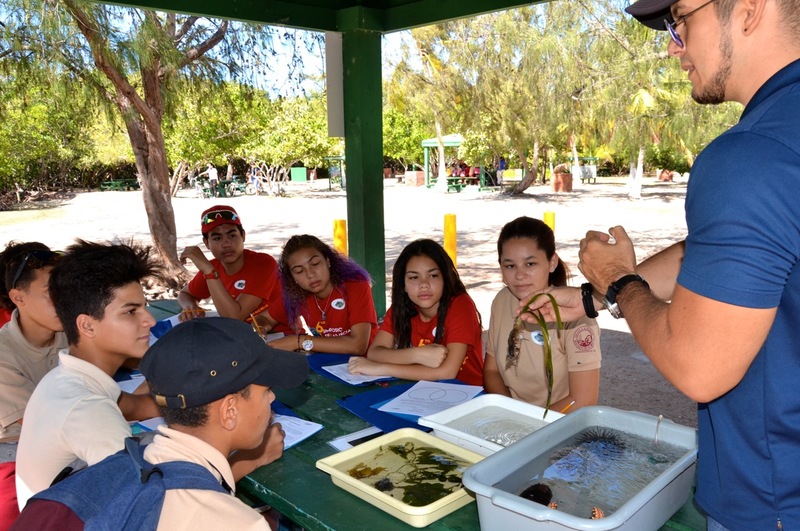 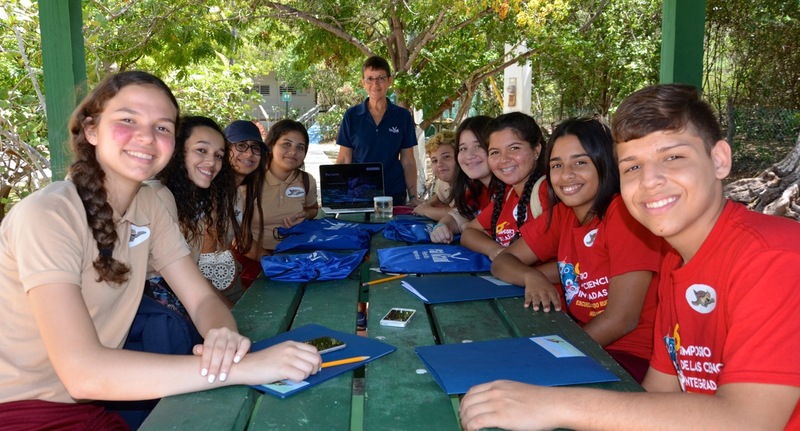 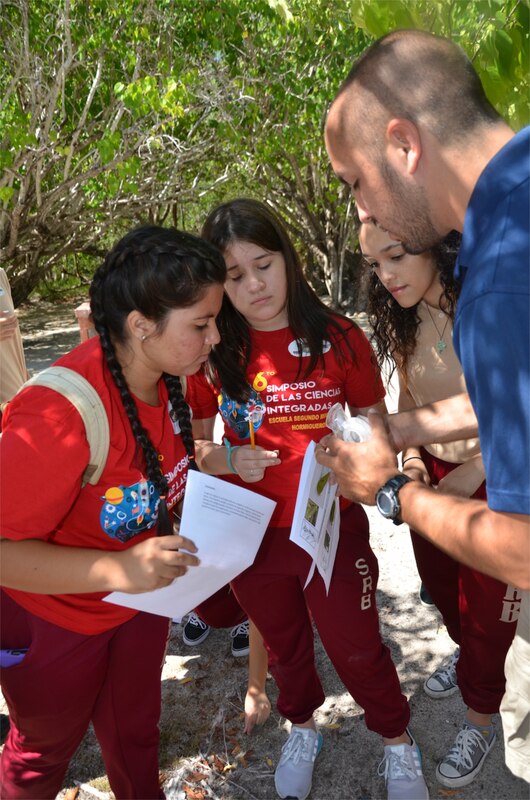 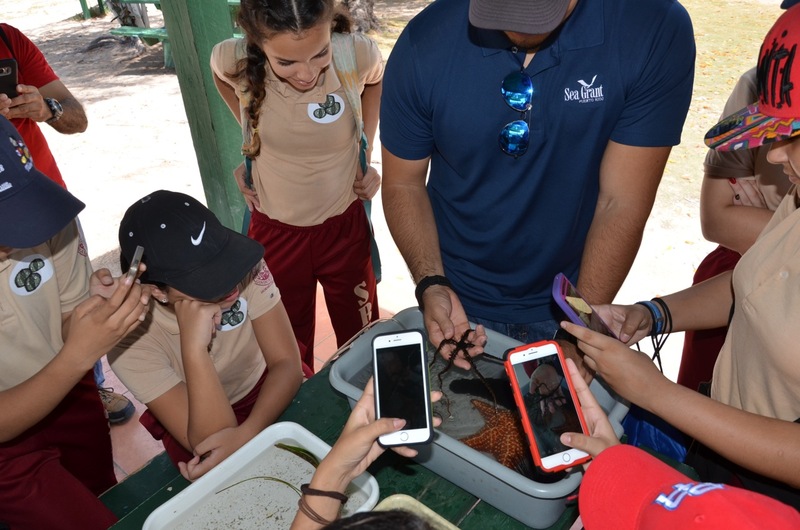 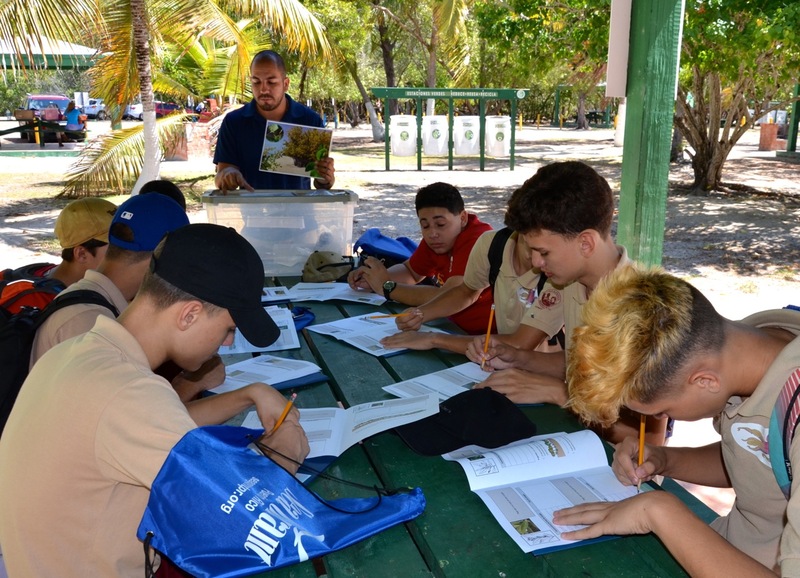 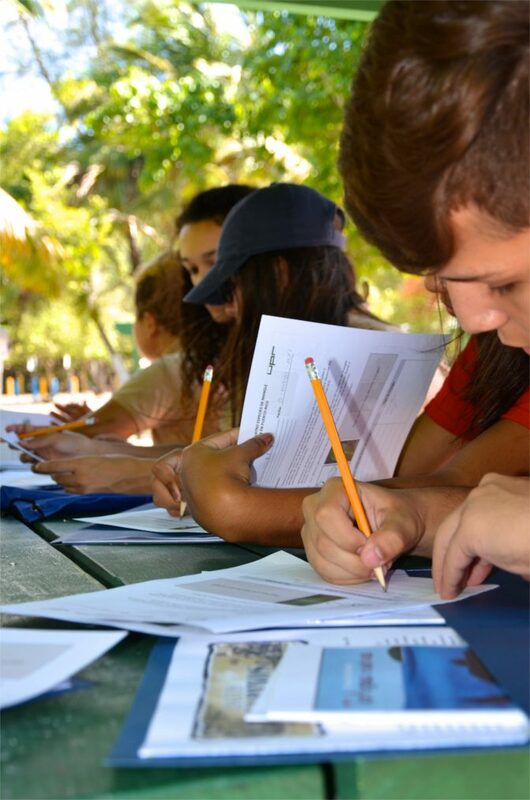 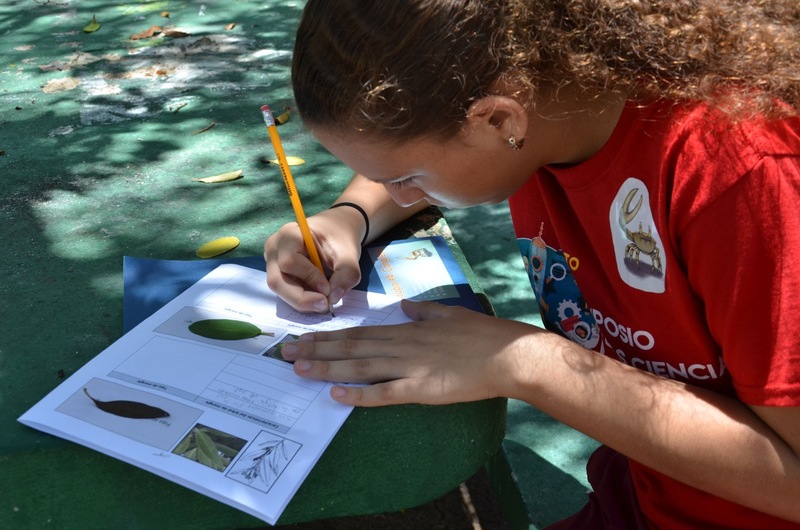 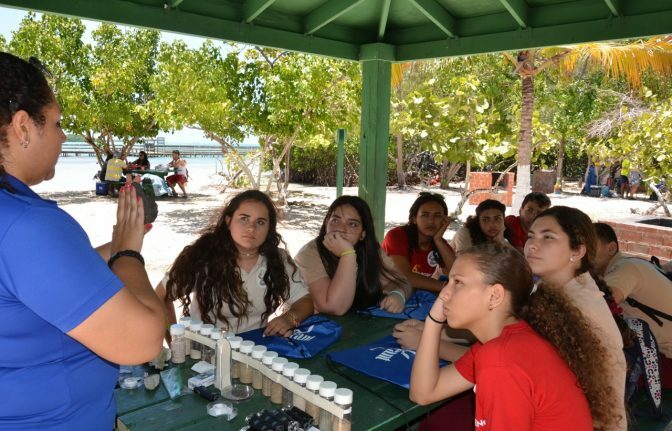 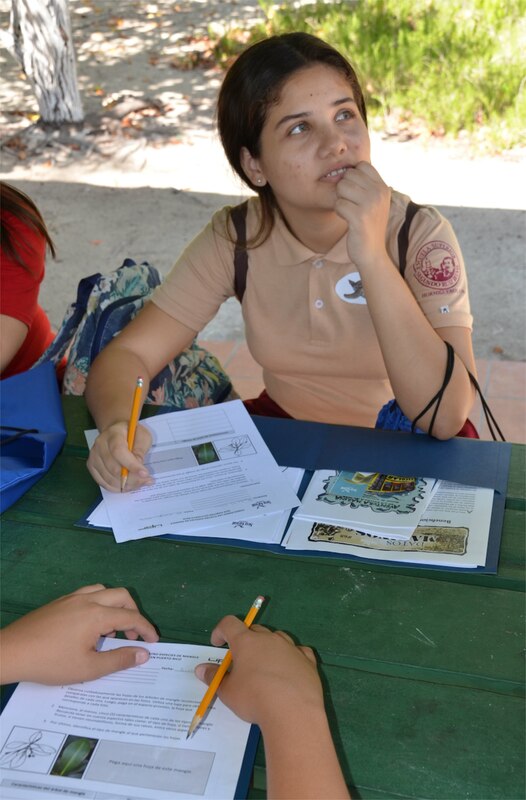 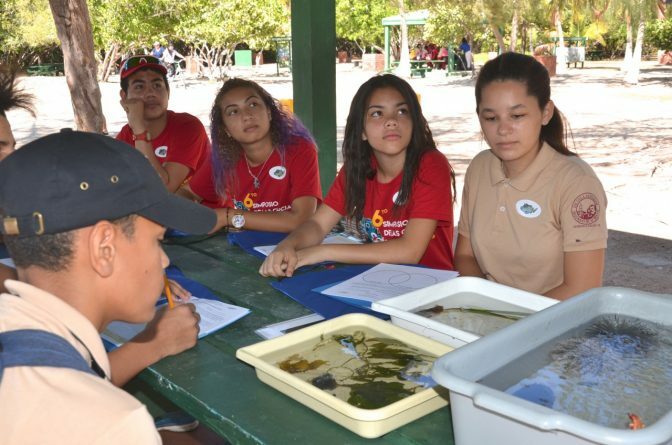 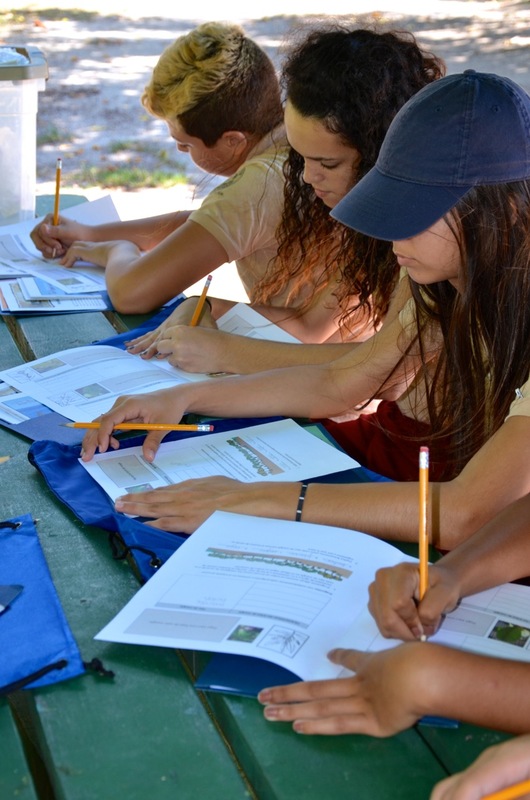 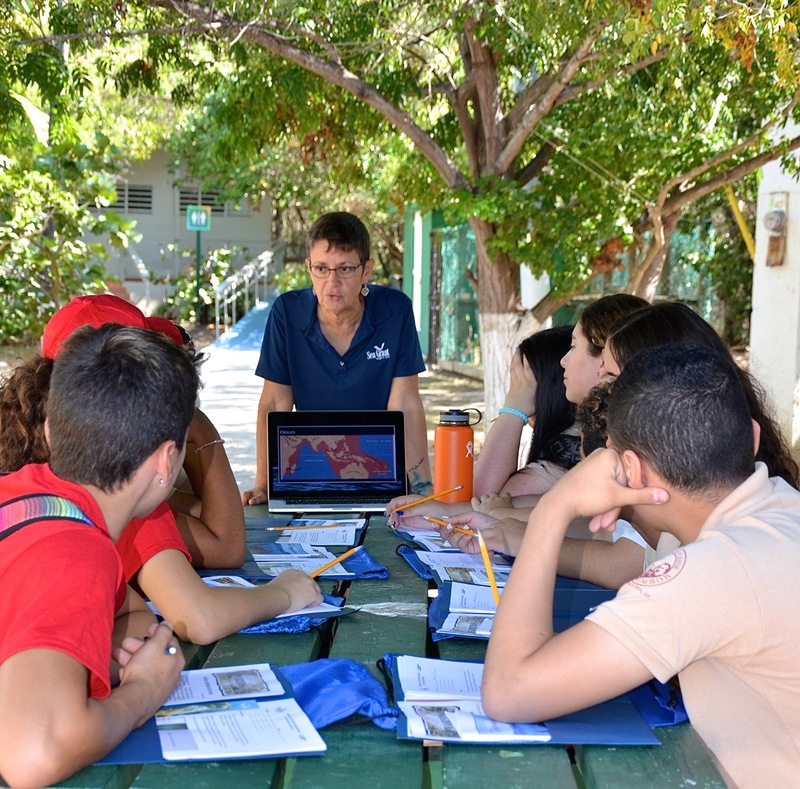 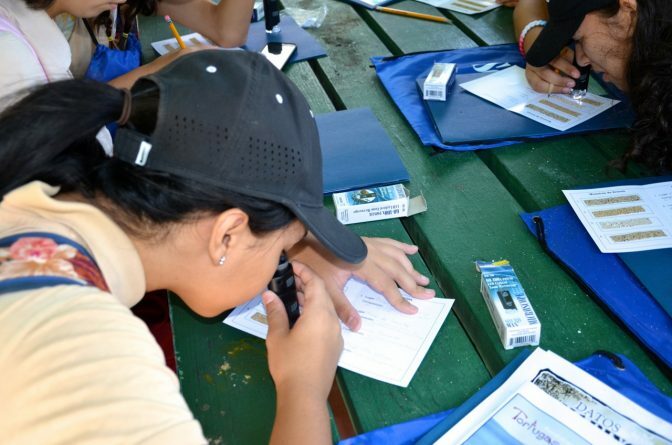 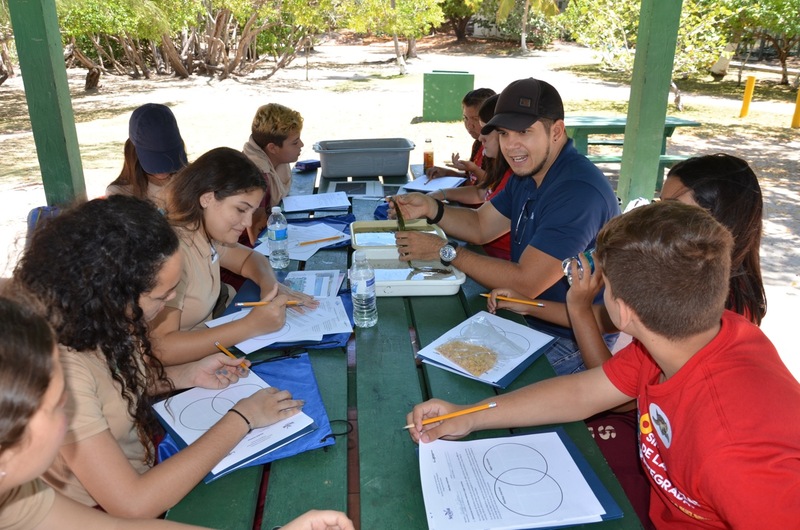 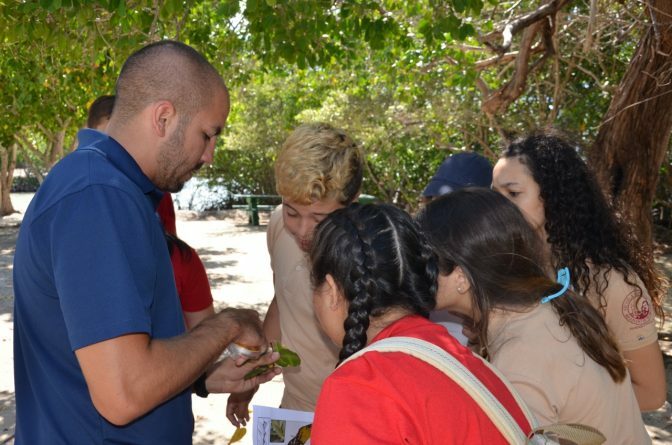 They also participated in stations dedicated to showcasing marine invertebrates and explaining what lionfish is and its implications as an invasive species in the Caribbean. 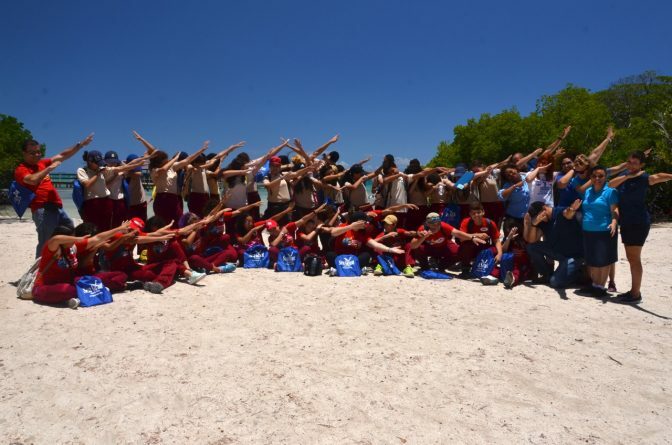 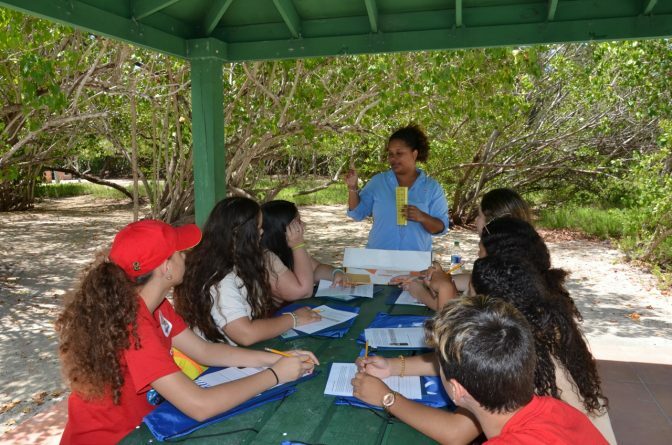 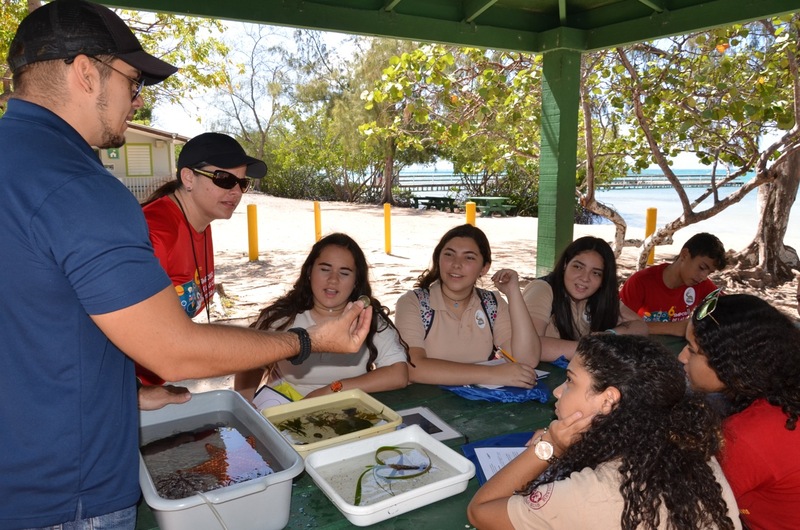 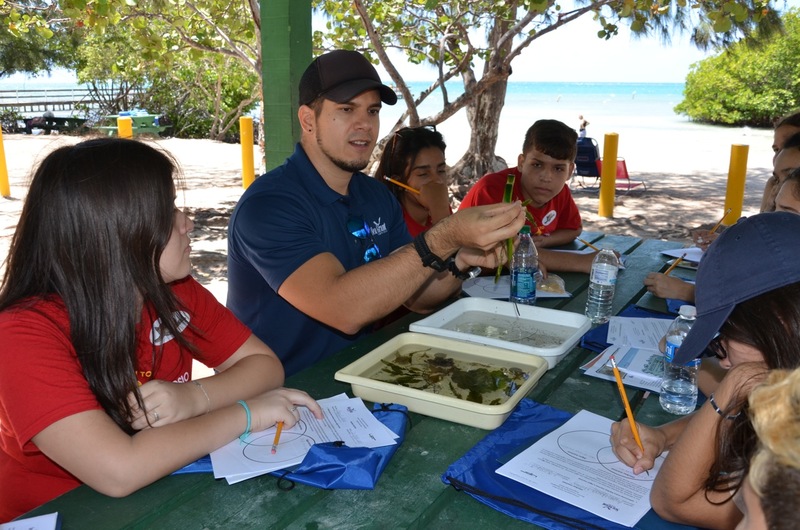 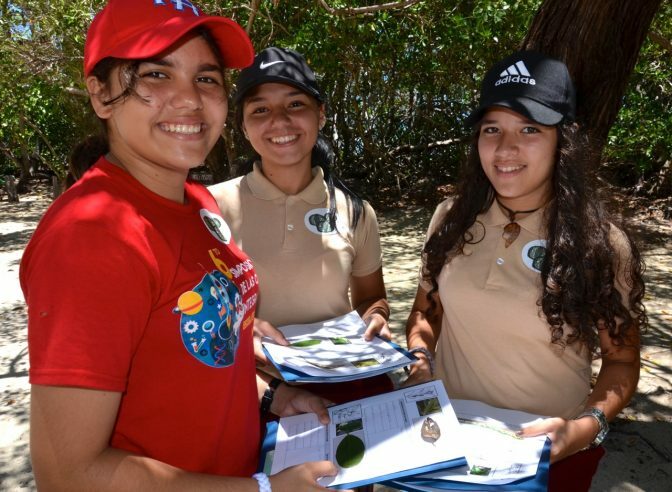 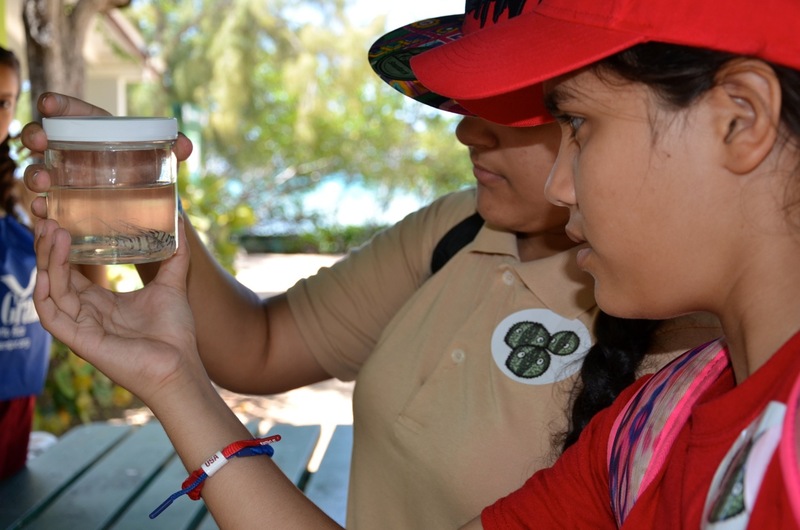 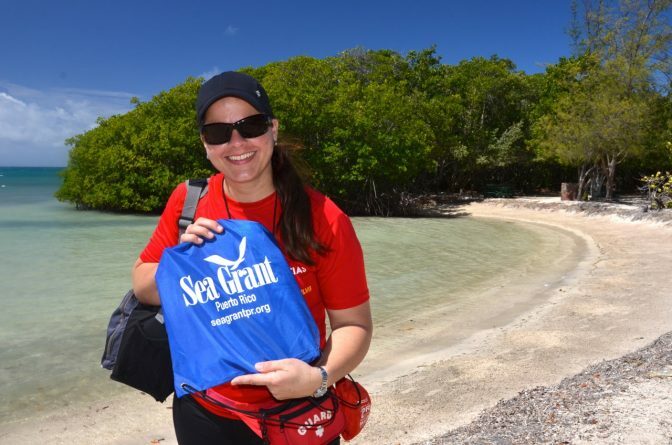 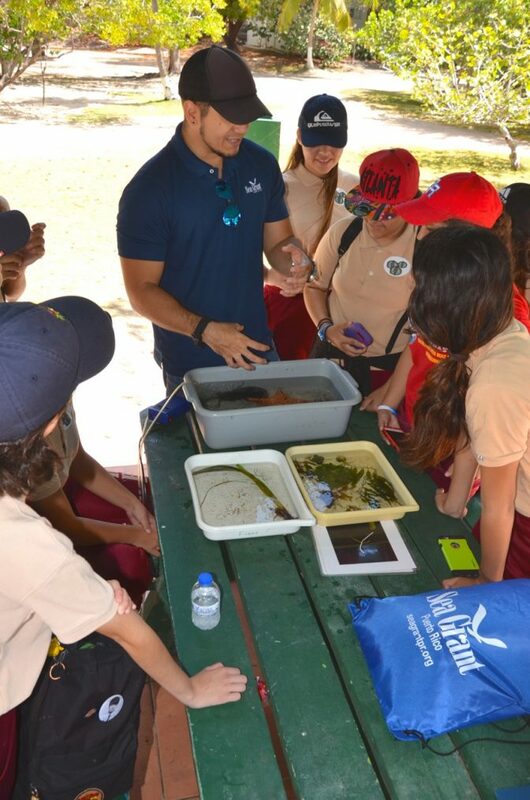 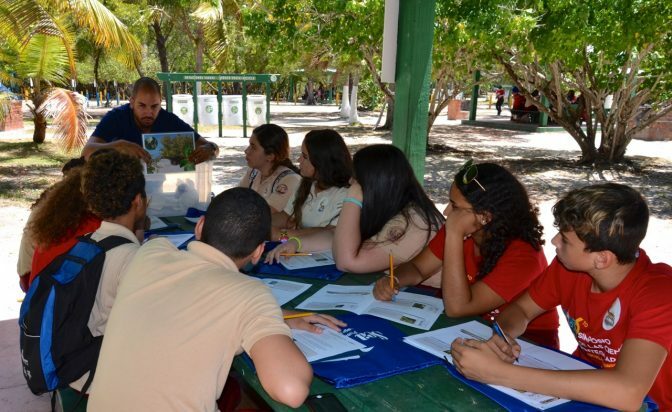 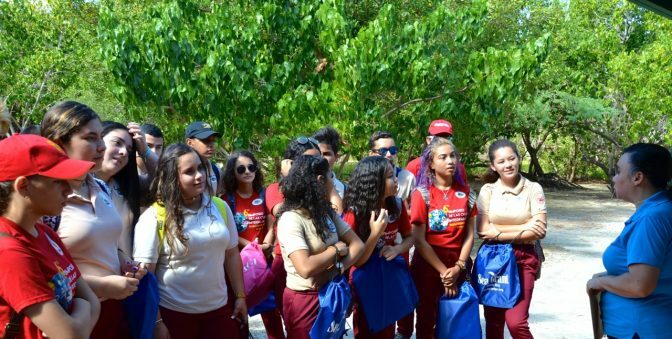 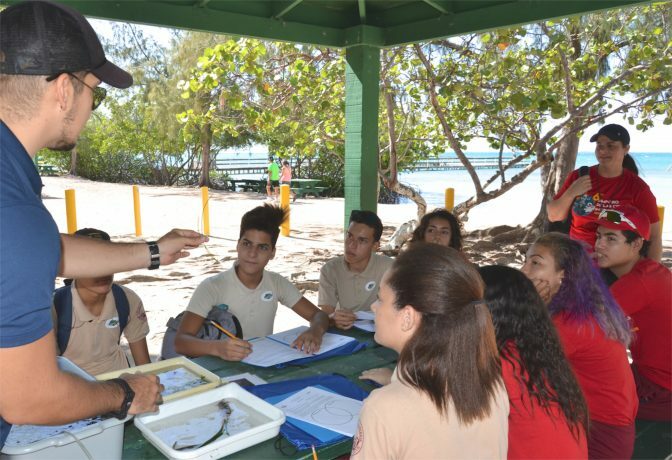 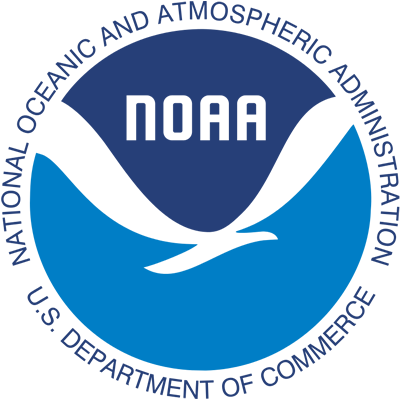 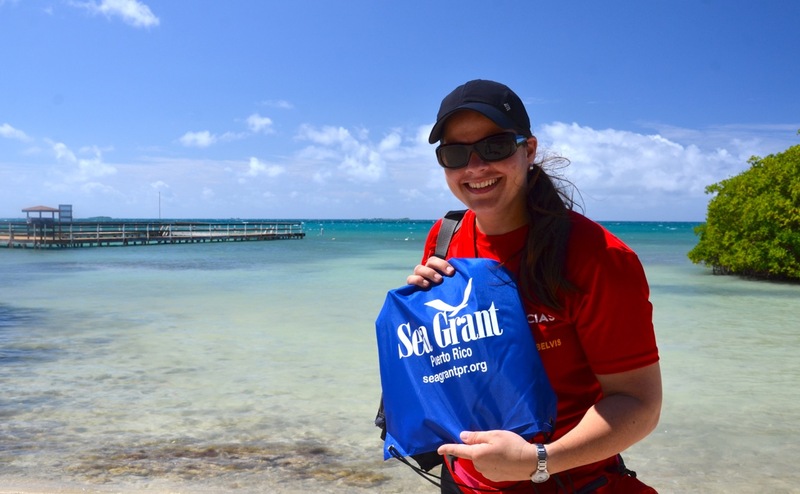 At each station, educators emphasized the importance our marine and coastal ecosystems have, and the need to conserve, protect and use them in a sustainable manner. 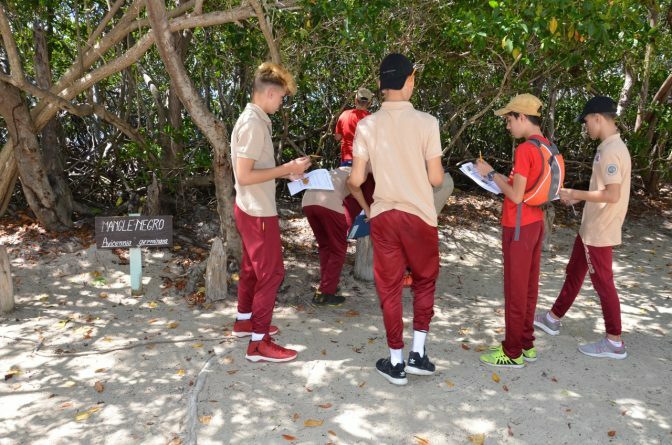 Students were very attentive to everything on offer, and made many questions, which showed their engagement with the subjects under study. They were very happy to have gone on this fieldtrip, since it was a very valuable and enriching experience.